The Commissioner of Police will meet members of the Chinese government in Chi­na over training being provided for the Fiji Police Force on synthetic drugs, especially methampheta­mine. Twenty officers from the Fiji Po­lice Force will be trained in China, in a course which will be fully fund­ed by the Chinese government. The Commissioner, Brigadier-General Sitiveni Qiliho, said the visit to China was to look at the training opportunities for our Po­lice Force in areas of synthetic drugs, which was an area of con­cern for them. He said the Chinese government had always stood by our officers in terms of training courses and equipping Police officers. 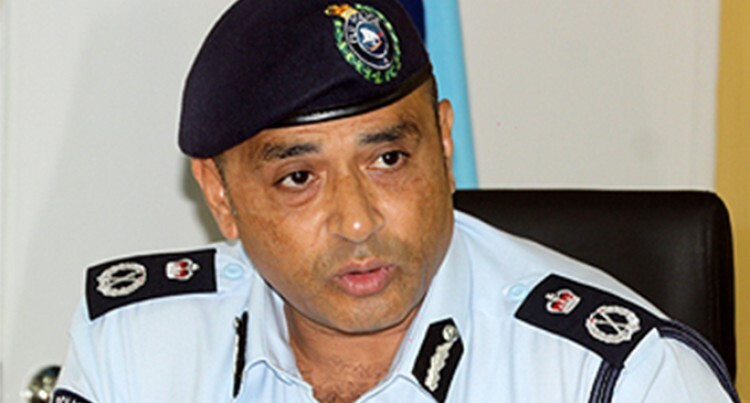 “They have always assisted the Fiji Police Force despite the political events that we have gone through,” Brigadier-General Qiliho said. “When other countries had closed their doors on us, China had stood by us and continued with their as­sistance to the Fiji Police Force,” Brigadier-General Qiliho said. He said he had been in talks about having drones for the Force and they would confirm this during their visit to China, along with oth­er areas that Brigadier-General Qil­iho wanted the Force to move into, particularly in terms of technology.